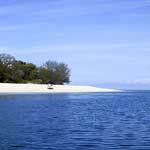 Chartering a Luxury Yacht in Tanzanian waters is very safe and brings a guarantee of privacy in natural splendor. If you charter a Luxury sailing yacht or a Luxury motor yacht, you will be served, entertained and accommodated by the most qualified and friendly crews in Africa. We welcome you to Travel in style and sublime comfort. Luxury Yachting is as affordable as a stay at an exclusive hotel or high end cruise ship, however unlike a beach resort or ship you and your Guests will be the only guests aboard the luxury yacht commanding 100% of the Crew's attention, dinning on the finest cuisine, prepared just how you like it. On a Luxury yacht you can expect the extra space and those additional touches, facilities and watersports toys that turn a boat safari into an exercise in well deserved indulgence. What you can expect from your Luxury Yacht will depend on its size and whether it is a sailor or a power boat. Traditional Sail boats have masts that restrict the interior space and layout options, while Power boats have more spacious and stylish Accommodation, with more room for toys like jet skis , Kayaks, windsurfs, water-ski, and dive equipment for larger groups. Each charter boat has its own speed boat (tender) to take guests water skiing and take passengers ashore to the beach during the day or night.